Many of you know how much I enjoy sharing the farm with my niece Bailey. She comes to visit us and wants to ride the tractor, collect eggs, talk to the chickens, follow the ducks and eat berries straight off the bush until her face and hands are stained purple. She’s a true joy and reminds me of the joy to be found where we live. Well, now I have another little farmer coming up in the family. My nephew Hudson is about 1.5 and he, too, is beginning to enjoy checking out what’s happening outside. 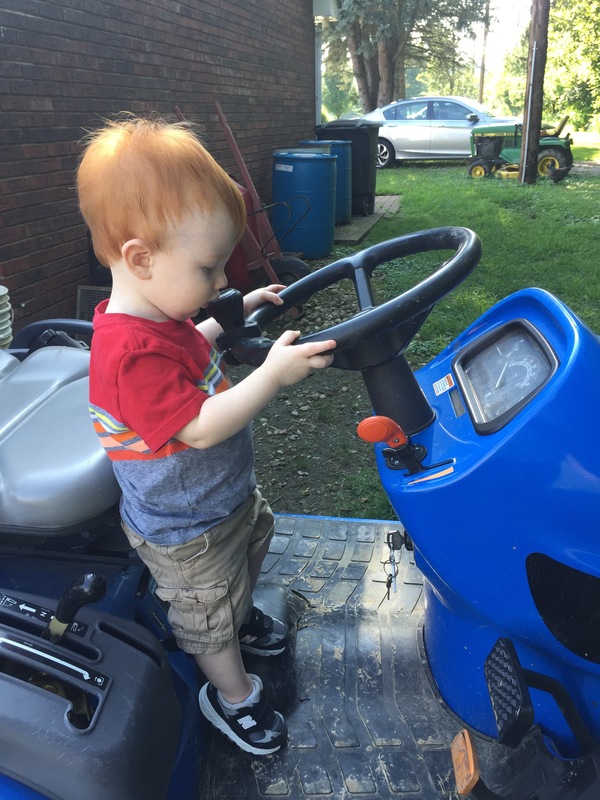 I’ve decided there’s something magical about tractors for children. He sat up there for like 15 minutes moving the steering wheel and jibber jabbering to the chickens all around him. I love how children talk to animals just like they do to people, assuming they all understand each other. I never grew out of that myself. 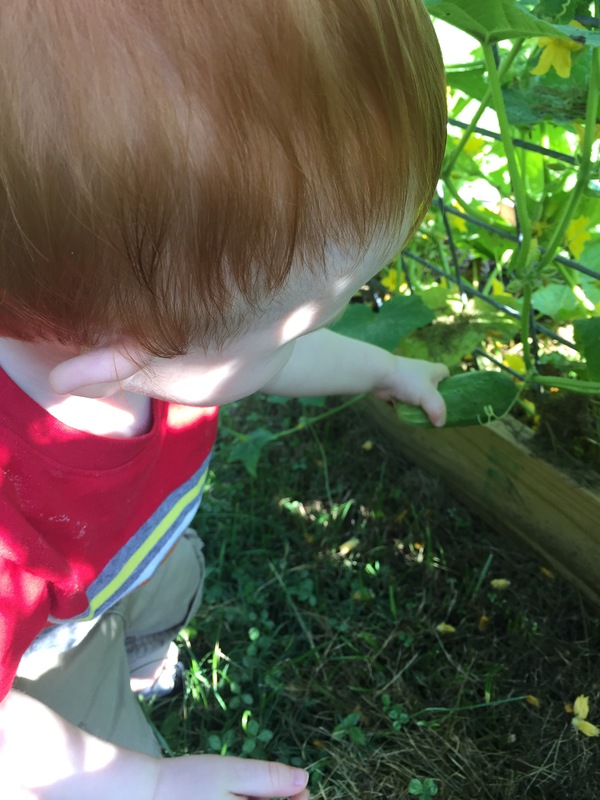 After the tractor we meandered over to the cucumber trellis. 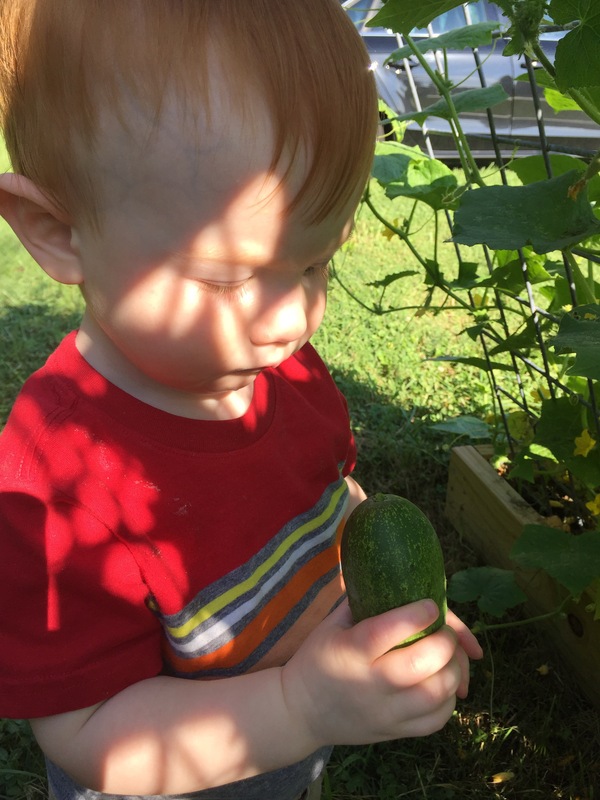 I showed him how to the cucumbers off and he picked one for each hand. He starred at that cucumber for the longest time! Wouldn’t you love to know what he’s thinking?! 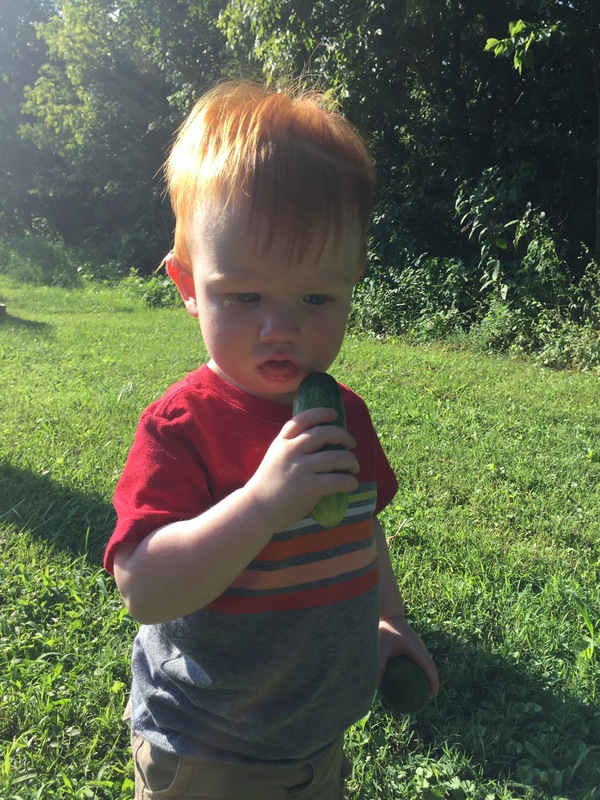 After we got the cucumbers he put them in the fountain and washed them clean then took them inside to show his mom. Hudson and his family also came to see us at the farmers market. 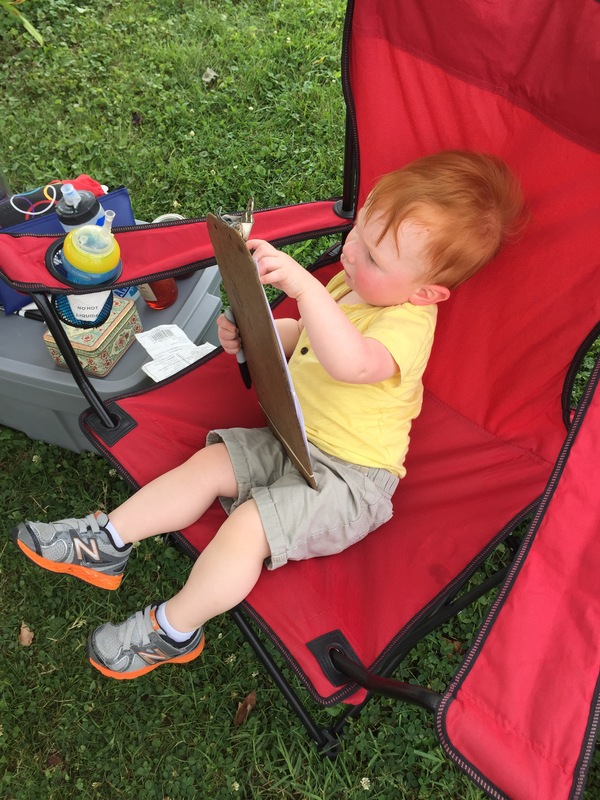 He watched his grandma using the clipboard to keep track of purchases and wanted to try it too. 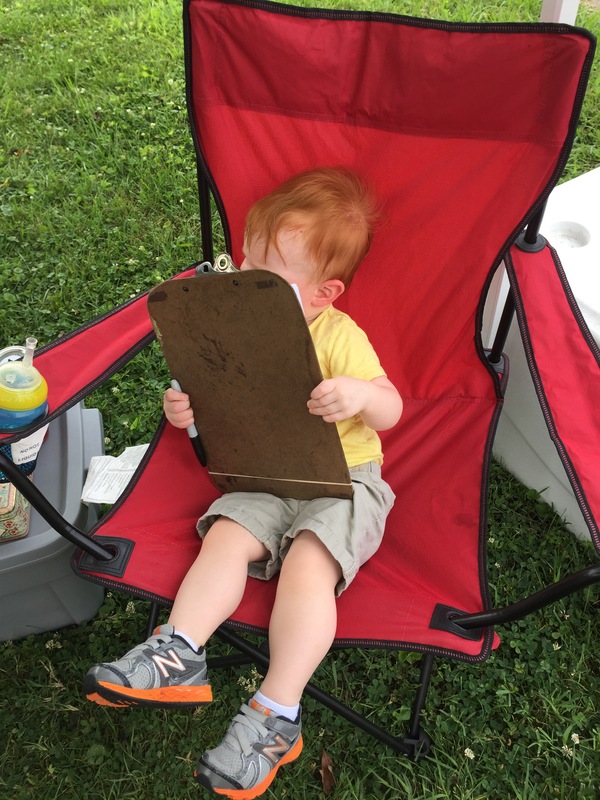 He got himself up in my chair, motioned for the clipboard and put himself to work. 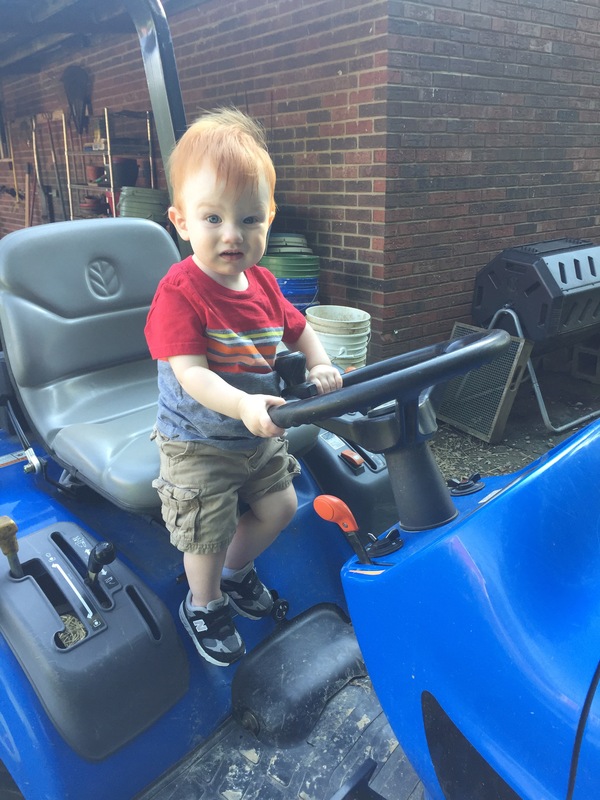 It’s nice having a little helper! The red hair is too much! So cute!! !